The 2018 Kansas City Regional Piping Solos have been completed, and the results are posted. These individuals are eligible to compete in the Terry McHugh Memorial Solo Piping Contest, taking place on April 21, 2018 in Park Ridge, IL, and have already been enrolled. For the higher grade Order of Plays, please visit the MHAF Winter Storm site here. If this is your first time competing, download and review "Thoughts on solo piping for the new piper", an overview put together by the MWPBA's own Tad Myers. MWPBA Band Registration for the 2018 season is now open. Competing bands can save $50.00 by registering prior to February 1, 2018 for the early-bird rate of $200. From February 1 onwards, the rate is $250 for the season. The Contest Entry Form for all 2018 Pre-Season Regionals is now open and available. You can find it under the Contests link at the top of the newly upgrade website, or use the button at the end of this message. The St. Paul, MN location has been finalized, and is available now along with the other locations throughout the Midwest. Please remember that if you plan on competing at the Kansas City Regional on January 12, and are playing at the Grade 1-3 solo piping level, you must enter that contest using the Midwest Highland Arts Fund's page. Grades 4 and Novice, both Junior and Senior, must register through the MWPBA's page. A date is being worked on for Minneapolis, MN, but information is not yet available, and will be posted as soon as possible. 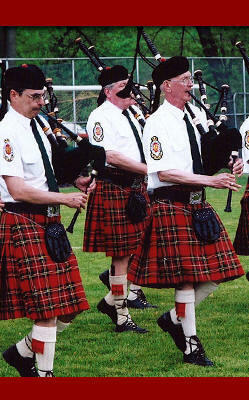 These contests are open to all Amateur Grades in light music piping. The top 3 available qualifiers in each GRADE (not event), from each contest, will qualify to play at the Terry McHugh Memorial Solo Piping Event to be held in the Chicago Metropolitan area, date to be announced soon. Solo Registration forms for the 2018 season are also available; you need to be a member of the MWPBA or another pipe-band association in order to compete in the pre-season & regular season contests. Sign up before March 31 and save $5.00 on your registration! The PM Ian Swinton Open will take place on April 21 in Park Ridge, IL. Full details here. The MWPBA 2017 Annual General Meeting was held on November 4, 2017. The (unapproved) Minutes of the meeting are now available. Thank you to all who participated in person and via the live-stream for a very productive and informative meeting! The Financial Report is not published here, but any member may request a copy from the Secretary-Treasurer. Season 2018 Band and Solo Regrade forms are now available! If you or your band would like to regrade for the 2018 season, please complete the Band or Solo Regrade Petition forms that are now available. Regrades will be announced at the AGM, so submit your form soon to be considered in time. Of course, regrade petitions will be accepted through March 31, but now is the time if you want to bask in the glory of being lauded at the AGM!